Music makes a moment. Whether it’s a fireplace in the wilderness, a mountain road with a stunning view, or the wind whistling through the trees, the right song turns the mundane into magic for memories that last forever. Now adventure is even closer in the all-new MINI Countryman, and with audio by Harman Kardon the road has never sounded better. MINI’s completely redeveloped Countryman is a triumph of space, functionality and flair. 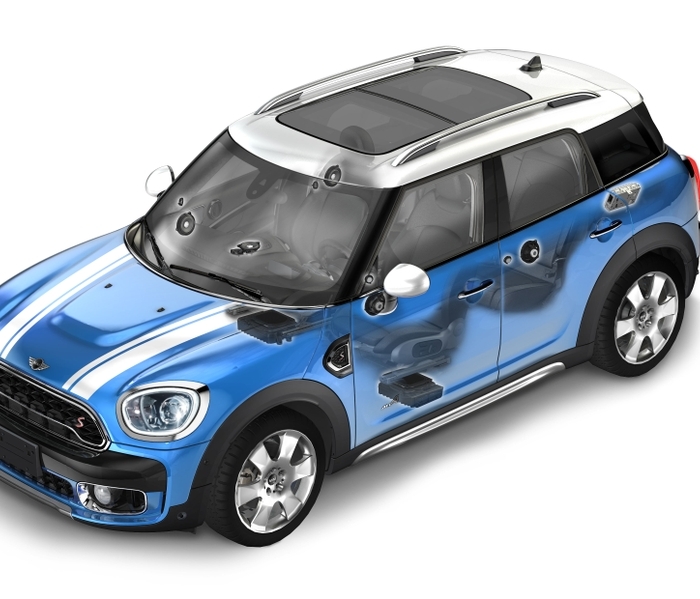 So it seemed only fitting that they partner with Harman Kardon, the exclusive sound system supplier for all MINI models, to once again ensure premium memory-making sound. 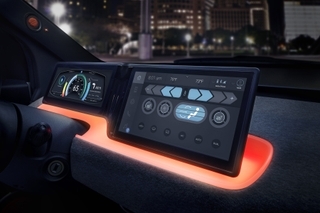 Thus, HARMAN is further expanding its cooperation with the BMW Group. 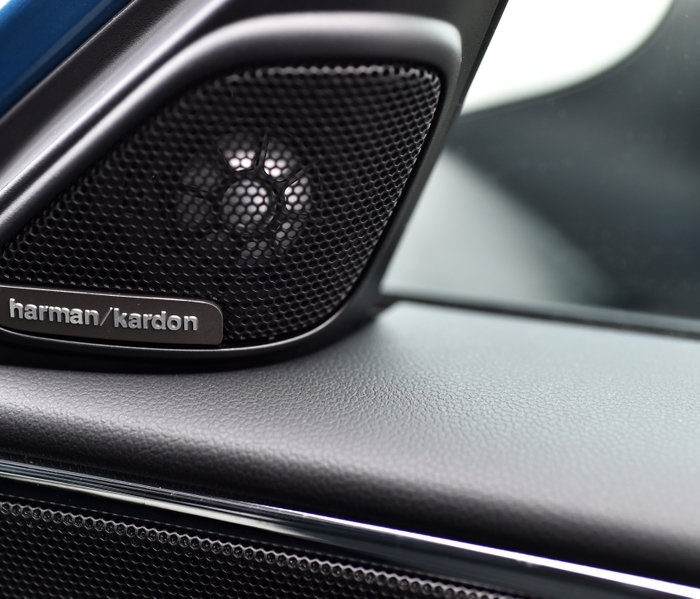 Working in close partnership with MINI vehicle developers, HARMAN sound specialists have completely customized the 12-speaker Harman Kardon hi-fi audio system specifically for the MINI Countryman. Precisely engineered for premium sound, the specially designed components come together to provide crystal clear highs, powerful base lines and low-distortion midranges, ensuring that every song is reproduced in a pure and authentic way. It’s music that tells a story, the way artists intended it to be heard. At HARMAN, we believe that when it comes to products and experiences, quality is what matters the most. Whether you’re travelling down the road, across the country, or around the block, audio is a major part of every journey. A car of the MINI Countryman’s caliber deserves audio to match. That’s why we’ve worked hard to ensure that the Harman Kardon system elevates the experience for drivers and passengers alike. Featuring 12 high-performance loudspeakers in combination with a Class-D DSP amplifier, the Harman Kardon system provides immersive and powerful sound. It delivers a total performance output of 360 watts – 200 more than standard. 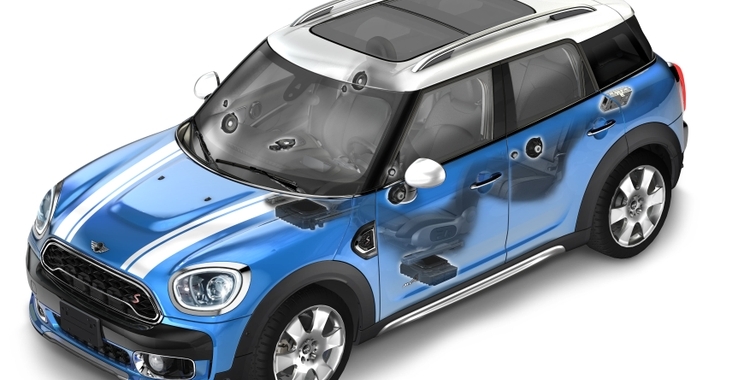 And its design encapsulates the superb simplicity of all Harman Kardon products, providing the ideal complement to the MINI Countryman’s iconic and advanced aesthetic. The Countryman is MINI’s biggest small car, just waiting to tell your story. Allow yourself to be inspired by Harman Kardon, with premium sound that you can feel. The MINI Countryman is available worldwide from February 2017. Find out more about its design and features here.